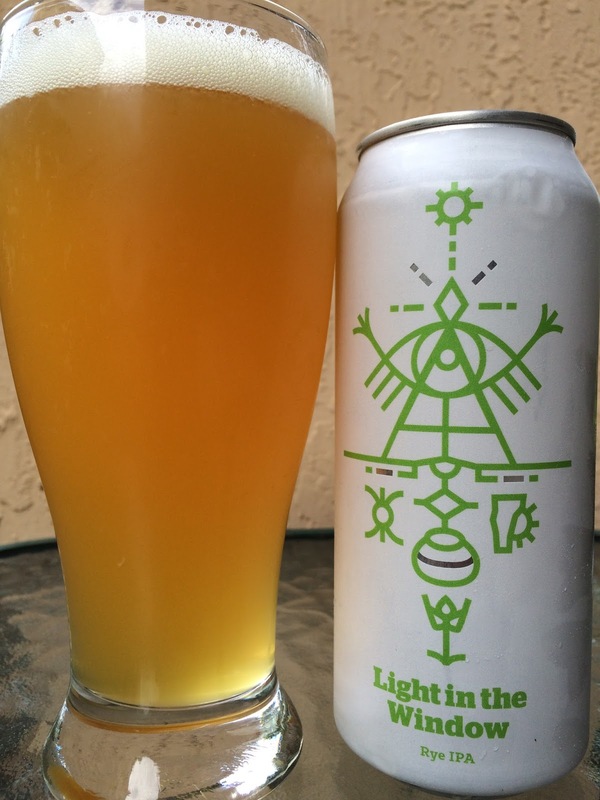 A Pounder Can of Burlington Beer's Light in the Window Rye IPA you say? OK! The label is similar to their other cans, some geometric-totem-pole-Ancient-Egypt-pyramid-type stuff, this time in green on white. 5.9% alcohol. Fruity, lightly spicy aroma, not that strong. Flavors are more BLAM! Sweet orange-ade to start. That is met with lots of spicy rye. LOTS! Did I say a shitload of rye? Anyway, I love me some rye, but in this beer what I actually ended up wanting was more of the fruity orange flavors that got drowned out early on. If rye is your bestest friend ever, this is your beer! For me, it was over the top and got a bit annoying, especially in a pounder!